Beijing is starkly different to Shanghai, or to any other city really. With not many high rise buildings, it’s full of tradition and culture. As the capital city of China, I guess the government has made an effort to preserve the history that is so important for a nation. The weather however is not something I can get used to easily. It has been freezing, literally. I can’t last more than half an hour standing outside and not more than 5 minutes with my hands out of my pockets. You see, I was silly and didn’t bring gloves with me nor have I had time to purchase any yet. This has made taking photos a rather difficult task. The last few days have been filled with going to the hospital, eating out and sleeping a lot. The cold and dry weather requires a lot of energy for my body to keep up. If I was an animal, I’d probably be a bear as Winter is not an active season for me. There’s one restaurant close to Yuye’s home which him and all his relatives love visiting. I had the privilege of dining there on quite a few occasions last year and it is also where we enjoyed our first dinner in Beijing this year. 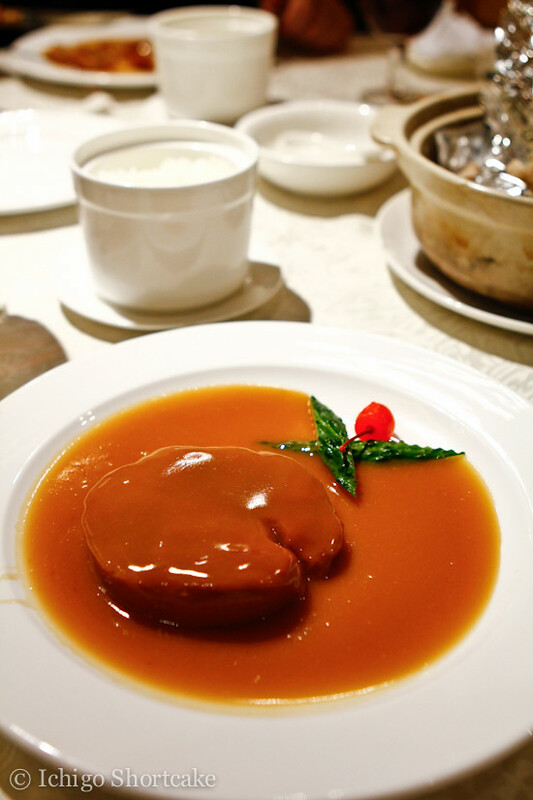 The restaurant, called Jin Long Teng Seafood Restaurant (金龙腾), has this fantastic dish called abalone sauce with mushroom (鲍汁百灵菇 bao zhi bai ling gu). I’m not too sure what this mushroom is called in English as Google Translate and Wiki didn’t really help me. The only thing I know is it’s not available in Australia. The sauce is the hero of the dish. It’s so umami that it makes me (and obviously Yuye) want to lick the whole plate clean. The way to eat it is to cut the mushroom (knife and fork provided) into bite size pieces and enjoy the dish with a bowl of rice, putting the rice on the sauce and mixing everything together. This is one dish that Yuye really doesn’t have confidence in cooking at home so as a result, we visit this restaurant at least 5-6 times during any trip to Beijing. Of course, our meal doesn’t end there. 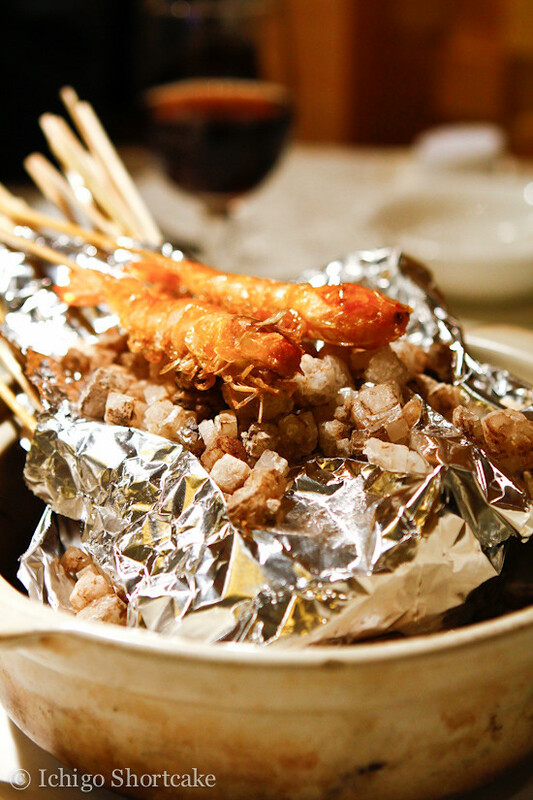 We also always order the salt baked prawns which is so crispy you can eat the whole thing along with the shell. Salt is already present on the skin, but sometimes when it’s not salty enough, Yuye rubs the shell on the chunky sea salt surrounding the dish. 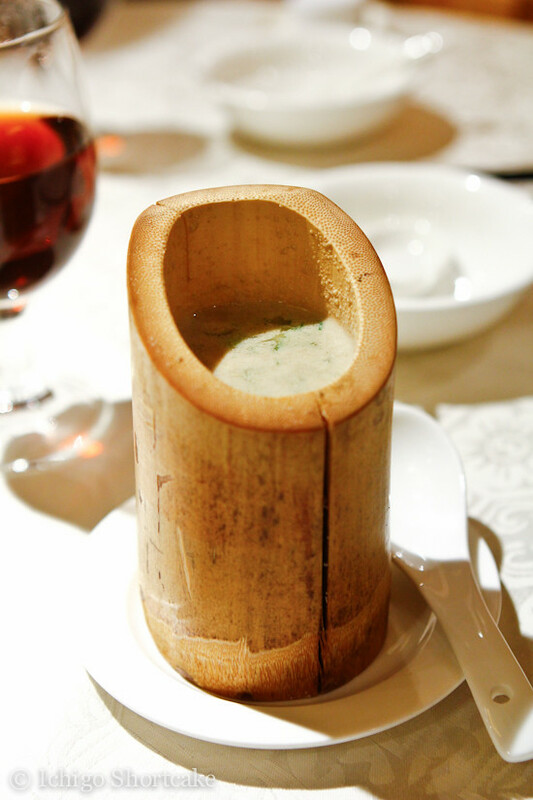 A new dish we ordered this time to try was this hemp and mustard greens soup served in bamboo (竹筒火麻芥菜汤 － zhu tong huo ma jie cai tang). It was a very small serving and if served in Western society, a complaint would have been issued because it lacked all the side elements that were so obviously present on the menu photo. However, Yuye’s family is not one who like to complain so we left it at that. The soup itself was quite tasty, although nothing special. The ingredients however, was very healthy. Hemp, according to Wikipedia, is a non-psychoactive variant of cannabis (a legal food ingredient) that contains more omega 3 and essential oils than even walnuts. The scallops we ordered were nice but also nothing fancy. 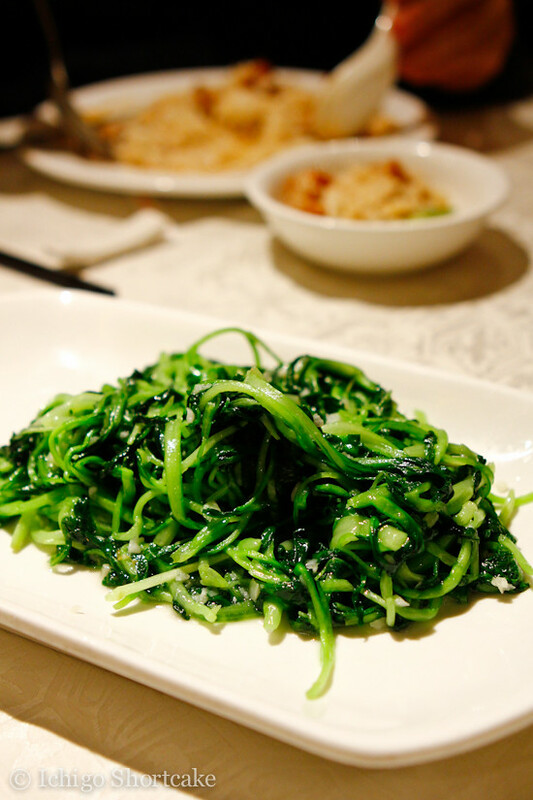 It was a dish that can be ordered in many Chinese restaurants back at home with its standard garlic, spring onions and coriander topped with a soy dressing and vermicelli on the bottom. In fact, when I looked up this restaurant on the internet, food websites suggested it was a Cantonese restaurant which most Chinese restaurants in Australia also fall under. As we were not too hungry that day (lunch was only consumed about 2 hours prior to dinner), we decided to order one last dish – a veggie dish – to end the evening. 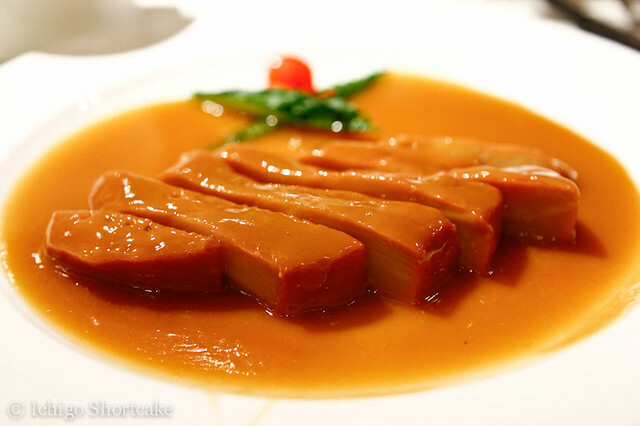 The veggie is called ‘ji mao cai’ (鸡毛菜) which really has no English translation. The literal meaning is chicken feather vegetable which came about through its appearance, but the closest translation I think should be baby bok choy. It tastes quite similar to bok choy but just smaller. 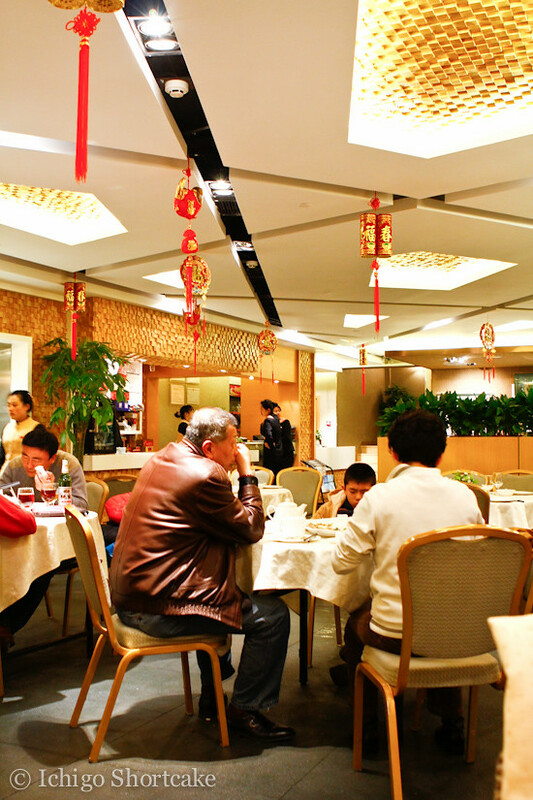 This restaurant is a little out of the way for tourists but it is reasonably close to a subway station – Xi Zhi Men Station (西直门站). 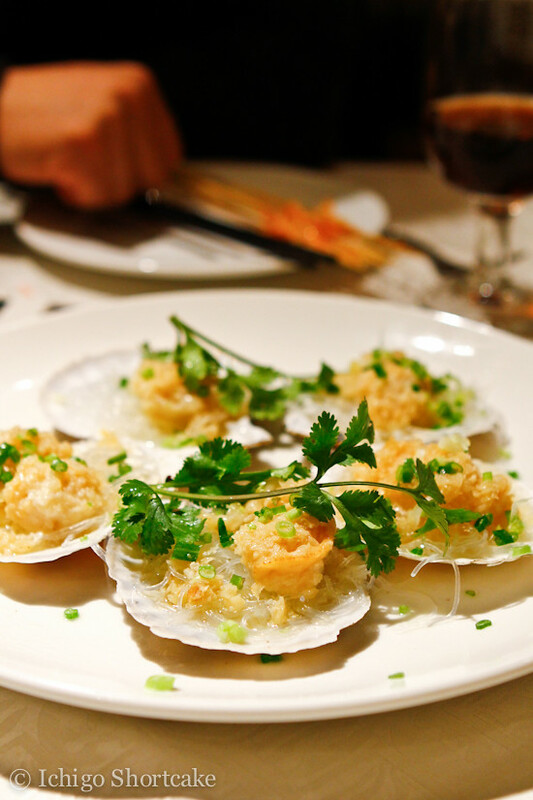 The menu is all in Chinese as well which can be difficult to order but if you find yourself in the vicinity, do give this restaurant a try, the abalone sauce braised mushroom dish is fantastic and entices us back time after time. Yesterday marks the last day of Chinese New Year. 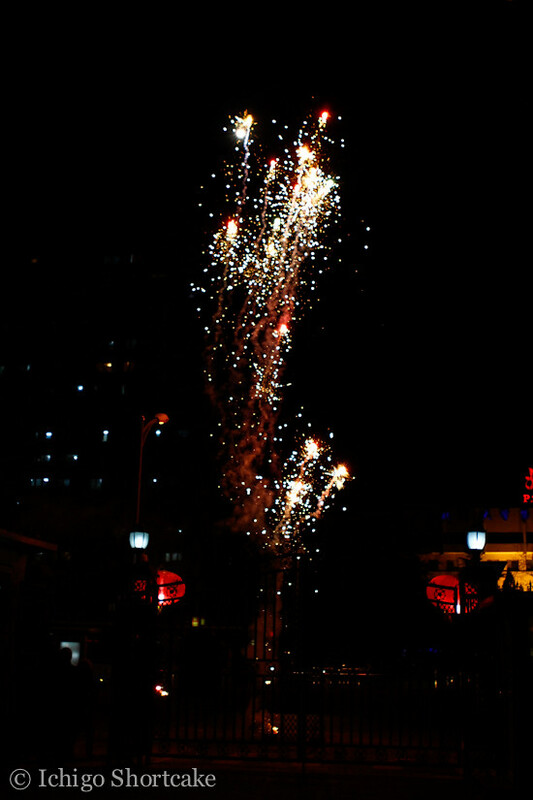 CNY always lasts for 15 days, ending on the 15th day of the lunar calendar and is also the last legal day for any private fireworks around China. 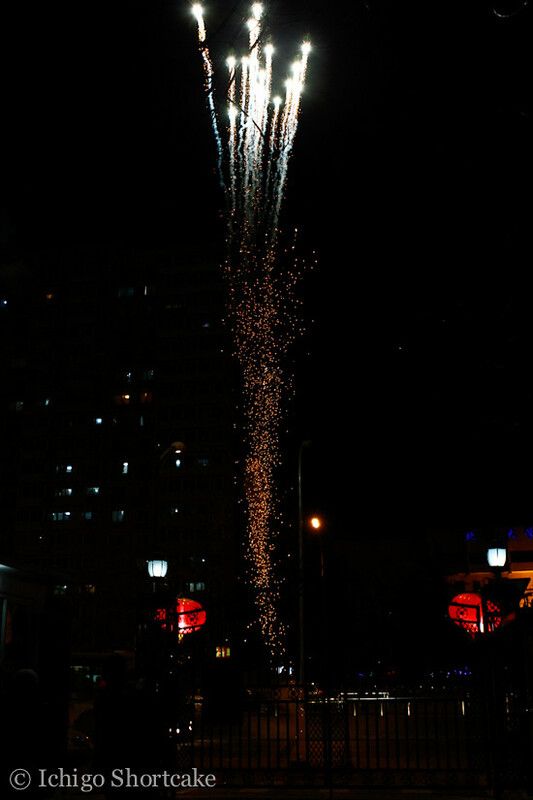 There were lots of noise last night as people frantically try to finish off every last of their fireworks stash as if there’s any left over after midnight, you’ll have to return them to specified collection spots around town. No money would be paid for collection, nor are you allowed to throw them away as they are dangerous and of course, if you try to light any after that day, you will be heavily fined. This is the price you must pay for the fun and festivity. It’s definitely a good thing as this decreases casualties and injuries caused by illegal or inappropriate usage (which, even with the law in place, still happens a lot). Yuye’s parents had a few spare fireworks left over from his cousins who had just returned to Australia so after dinner last night we stood in the -10c weather and lit the last few. Although beautiful, they were rather short-lived. Our neighbours had better ones which would have cost a few hundred RMB (equivalent to about $60-70) but still only lasted a couple of minutes. 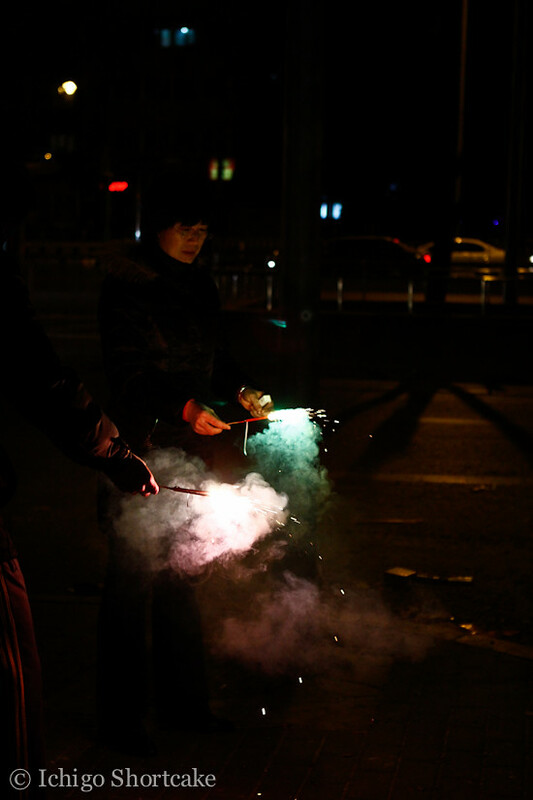 Question time: Have you ever lit your own fireworks or watched someone else light it close by? If yes, did you enjoy it or if no, would you consider doing it? I’ve been thinking about you and all the things you’re going through. Those scallops look amazing! I never thought I wanted to go to China (although Asia as a whole is very high on my priority list), but you’re changing my mind. You must be exhausted! Glad there are the foodie places to check out in between all the visiting. I am a bit actually, but I’ve been sleeping well and eating well so it’s not too bad. 😀 There’s heaps of food here, probably more than back home! But just different sorts of food, not much western unfortunately. Oooh, those are some orange sauces! 😛 Looking forward to following your “journey”, I love travel tales! I can eat this place like every week! I love abalone. It looks so good! They all look very fresh and delicious. Chinese food is always hard to portion control since we order many dishes… But enjoy now and worry later. =D Thank you for sharing your travel journey. It’s fun to read! Have fun in Beijing — I hope to travel there some day too. I’ve never seen such tender and tiny baby bok choy before. It looks so drool-worthy!! Seems like you had a fantastic time in Beijing! I’m so glad that you’re still able to blog ~ I’ve never been to Beijing but have a few friends who have moved there and working there 🙂 Would love to check it out soon! I like it here for a holiday but it’s quite dry and cold so not sure about working here long term 😛 you should visit for a holiday though, so much to eat and see!